On Saturday, experienced striker Scott ‘Sebo’ Macrae will become the 16th man to make his 200th appearance for Queen’s Park Supporters FC, as he captains the side against St Johnstone at Toryglen. 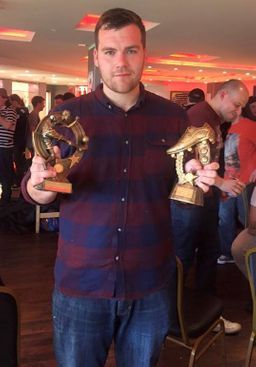 Scorer of over 100 goals (113 to be exact), 10 hat tricks and a former Player of The Year, Scott has been an excellent servant to the club ever since he made his debut back in 2012, and he continues to be a key member of the squad with a knack of picking up important goals. Sebo (affectionately known due to his striking good looks and similarity to Slovakian ex-Rangers heart throb Filip) made his bow in a Queen’s Park jersey on 22nd April 2012, in a home victory against the famous Scotstoun Park Galaxy at Toryglen. It was at the start of the next season however when the big man began to really make an impact. He made his first start for the team as number 9 against Ormond Saints on the opening day of season 2012/13, and put in a virtuoso performance, netting a hat trick in a 3-2 win. He never looked back that year, netting an eye catching 29 goals in 33 games, securing one of his two Top Scorer awards in the process. Goals were slightly harder to come by in 2013/14, but there were still moments to savour as Scott found the back of the onion bag 13 times in 27 appearances. It was in October 2013 that Scott netted what will surely go down as his best goal for the team. 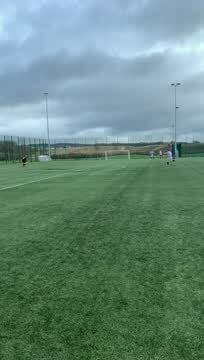 Hanging on to a 5-4 lead against a side containing two current seniors and another with full time experience, Scotty unleashed a sensational dipping volley from 45 yards which baffled the visiting goalkeeper and nestled in the back of the net. Scott, who usually manages to keep his calm after scoring for the team, neglected the usual kiss of the bicep, to whip his top off in delirium on a freezing Friday night. An unexpected treat for the massed ranks which had gathered on the side-lines at Glasgow Green that evening. The following season, 2014/15, proved to be arguably Scott’s finest in a QP jersey. This was our first season playing football in the IFA League, and while the team struggled to put together a run of consistent results, Scott was in imperious form for the whole 10 months of the season. 26 goals in 29 games was enough to wrap up the Top Scorer trophy once again, and his performances were acknowledged by the Club as he won our prestigious Player of The Year award. A fine achievement for Sebo, and well deserved. Over the next few years, the goals continued to fly in for Scott, and it was only a matter of time before he became only the 5th player in our history to reach the magic 100 goal mark. 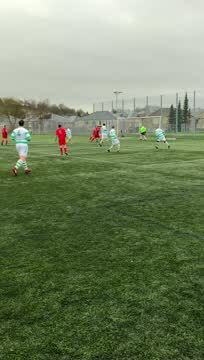 Playing Dunfermline Athletic at Toryglen on 18th November 2017, Scott fired in a delightful early goal to open the scoring. His 100th goal and the big man celebrated in style. It’s long been a difficulty for QPSFC to find a consistent scorer of goals, and this achievement should not be downplayed. Scott now finds himself 4th in our all-time scorer list, one behind John Kirkland in 3rd and 43 behind Big Jazza Stormonth at the top of the charts. Knowing Scott’s love of stats (particularly when they are about himself) there is no doubt these are two targets he has firmly in his mind. ‘Scott has been a tremendous servant for the team ever since I took over back in 2012. He scored a hat trick against Ormond Saints in my first game in charge, and he really hasn’t stopped since then, scoring all kinds of goals against all sorts of opposition. He’s one of our most reliable players, rarely missing a game, and with the amount of effort he puts in for the team he makes sure he earns everything he gets. He has been a key man for me since the start, and the way he has adapted his game in recent seasons to become more a team player (and less of a poacher) has been a joy to watch. Congrats to Sebo on a great achievement, and we look forward to many more appearances to come over the years! Big Jazza’s record is surely bound to fall?